The Future Search Conference is one of several collaborative planning methods that take a “whole system” approach. These processes try to replace shelf-bound plans with agendas for action that are developed collaboratively in the course of intensive large-group meetings. To do this, Future Search insists on the basic starting principle: “Get the whole system in the room.” That means including everyone needed to make change happen – decision-makers from all the groups involved, internal staff and external stakeholders. A representative cross-section of these players at many levels of responsibility gathers to share ideas, identify strategies and make commitments to achieve measurable goals. The Future Search Conference is held over a two and a half day period and works optimally with a group of 60-80. That number would give pause to many leaders. How is it possible for a group that size to agree on anything? When the idea of a collaborative effort comes up, most conveners and even practitioners start thinking about how to keep the group to a “manageable” size. 12-15 sounds doable, 20 is a stretch, 25-30 is getting into the realm of the uncontrollable. And control is the issue. The Future Search method rejects tight facilitator control over the flow of the meeting and the whole idea that a group needs to be strictly guided toward a predefined goal. Instead the role of the facilitator is to explain the overall boundaries and tasks of each process phase but leave most of the meeting to self-managing work teams of 6-8 persons. The conference divides the time into five segments, each with its specific task, and these are carried out through the alternation of work team and full group dialogue. In addition, there is an alternation of work teams that mix different stakeholder groups with those that consist of members of a single group. The reason for the two types of work teams comes from a specific theory of Differentiation/Integration. The single stakeholder interest groups need to clarify their own needs during a large planning session (differentiation) but then intersperse with the other groups to define the common goals they can only accomplish by working together (integration). The work teams also need to participate in whole group dialogue for each task to ensure that everyone is aware of specific ideas and overall trends of thinking. People make time lines of key events in the world, their own lives, and in the history of the future search topic. Small groups tell stories about each time line and the implications of their stories for the work they have come to do. The whole group makes a “mind map” of trends affecting them now and identifies those trends most important for their topic. Stakeholder groups report what they are proud of and sorry about in the way they are dealing with the future search topic. Stakeholder groups describe what they are doing now about key trends and what they want to do in the future. Diverse groups put themselves into the future and describe their preferred future as if it has already been accomplished. Diverse Groups post themes they believe are common ground for everyone. Whole group dialogues to agree on common ground. Volunteers sign up to implement action plans. Successful implementation depends on effective organizational leadership with clear purpose and commitment to collaboration. These decision-makers also need to take part in the process itself, both because they are necessary to confirmation of common ground and action steps and also to reaffirm their commitment to follow-up through their visible involvement. An effective Future Search Conference also depends on extensive planning by a diverse group that can get all participants to the meeting. The members of this steering committee need to become thoroughly familiar with the principles and methods of Future Search to ensure that they share direction of process planning with a consulting facilitator. This process focuses on future possibilities rather than on past problems. It is not the appropriate method for conflict resolution or for the reconciliation of deep value differences. Groups of differing values certainly participate but they focus on the future actions for which collaboration among diverse groups is necessary. 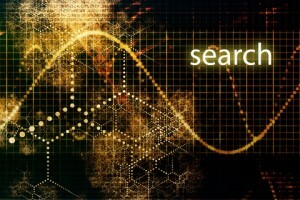 Future Search is one of most time-tested large group methods for whole system change and adaptation to new conditions. It has been applied in many different settings around the world, like Open Space Technology, and merits close consideration by any group committed to collaborative methods for planning its future. There is an active network of practitioners who spend a great deal of time mentoring newcomers. Their website is: Future Search Network. Thanks for your support of the principles, philosophy and practice of Future Search. For decades, Future Search has enabled communities and organizations around the world to transform their capability to act on complex issues. We appreciate your acknowledgment. Please note: The most recent book and guide to the principles and methodology is Future Search: An Action Guide for Finding Common Ground in Organizations and Communities (2nd Edition), Berrett-Koehler, 2000. Thank you, Sandra, for dropping by. It’s my pleasure to provide a brief introduction to Future Search – in fact, it’s obligatory, given the importance of this approach. I’ve seen Lisa Beutler use Future Search to remarkable effect and with her typical mastery. I knew there was a second edition, but for some reason I couldn’t find it on Amazon this time, though I had seen it there earlier. Just a glitch, I suppose. I’ll add the corrected link today.